Help us recognize innovation happening across Iowa! 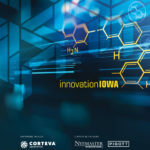 The Business Record has partnered with Corteva Agriscience and Iowa State University Ivy College of Business to present two awards – the innovationLEADER Award, which honors an organization or company and the innovationENTREPRENEUR Award, which honors an individual. Nominations for the 2019 awards close on Feb. 15, but nominations for both awards are accepted year-round. Originality of innovation(s): Is this a completely new concept/idea/process or the reimagining of an existing one? Was it developed independently or in cooperation with others? Impact of the innovation(s): Did this innovation meet an unmet need? How has it affected a specific industry and/or the public at large? If internal, what impact has it had on processes and efficiencies within the organization? Culture of innovation: Does the company promote an atmosphere conducive to innovation? Has the company consistently been seen as a leader in its field when it comes to innovation? Commercial impact of innovation(s): Has the innovation gone to market? What financial evidence or market acceptance information does the innovation have to support new value for the end user? What is the quantifiable evidence of success? Originality and impact of innovation: What are the major accomplishments of this individual? What innovative idea, product, or process, or series of innovations, is he or she best known for? Was it something brand new or an improvement on an existing product, process, etc? Impact of innovation: What impact did that innovation have on processes and efficiencies of the person’s organization, his or her industry or the public at large? Is it for commercial release? If so, please detail the commercial success of the innovation. Culture of innovation: Does this individual have a proven track record of innovative ideas and promoting innovation in others? Is the person seen as a leader in his or her field? Does he or she have a history of pushing limits and thinking outside the box? Personal/professional reputation: Does the individual have a reputation for high personal and professional ethics? Is the person looked to as a leader or mentor in his or her field?